Indiana Rottweiler Rescue View other Rottweilers for adoption. 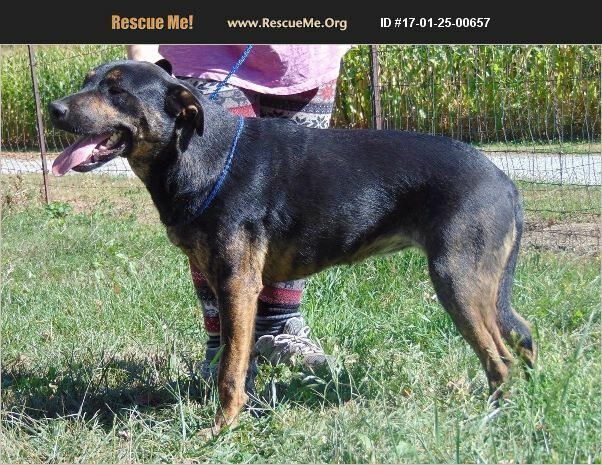 CoCo is a 14 mo old little rott/shep/pit mix. She is fearful of strangers. This can be turned around with lots of treats and socialization. CoCo will be protective of her family and will only go to a financially secure homeowner with outstanding vet references. She will need one family who will work hard to make sure she gets socialized. She's very sweet and cuddly with her main person. She is shy with strangers so children should keep their distance and let her be the one to initiate contact. CoCo will need a calm, quiet home. She is microchipped and fully vetted. She can be loving and cuddly with time.